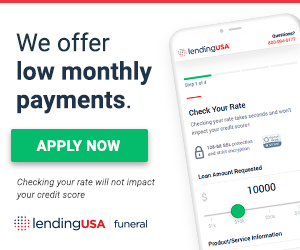 In order to provide more options to assist our families, we are pleased to offer Financing through LendingUSA. If you wish to begin your application process prior to meeting with your funeral director, click the box below “Apply for a funeral loan”. Please call us if you have further questions. Our staff would be happy to assist you with your questions or to assist you in applying at the time of your arrangement conference.